Fresh, high-quality content is the perfect recipe for more leads and conversions and improved SEO rankings. By hiring a freelancer, a range of content will be delivered professionally including blog posts, articles, website content, SEO pages and much more. The amount of research, time and commitment it takes to create something completely new should never be understated. 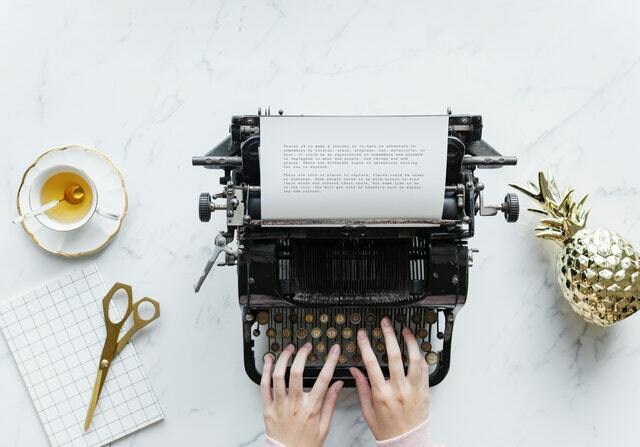 Professional freelance content writers perform plenty of research into the requested subject, taking their time to determine the right angle and tone of voice. Elements such as quality, grammar and appearance are also taken into account, as well as keywords, metadata and much more. Freelancers are skilled and adept at writing strong calls-to-action. CTAs have the power to prompt customers, visitors or leads to take action, whether that action involves downloading your e-book, attending your latest event or contacting your company. Your CTA must be simple and to the point while being informative and engaging. It also needs to be positioned somewhere eye-catching to increase the chances of it being seen and accessed. With competition so rife across the internet, it’s essential that your content is of the highest quality so that it attracts Google’s web crawlers, and ranks your site appropriately. Elements such as meta titles, meta descriptions, headlines, keywords and keyword phrases are all vital contributors when it comes to improving your search engine rankings. In turn, your target audience is more likely to see your content and respond to it. When a potential customer visits your website, they want to learn more about your company and what it would be like to work with it. It’s so important that your content establishes your brand voice, not just across your website but across all other channels including your social media platforms, emails and other marketing materials. When you hire a freelancer, they’ll work together with you to craft content that reflects your branding and corporate message. Before you know it, they’ll know the ins and outs of your company so well that they’ll be able to create appropriately branded, well-written content quickly and easily. When you scan through your current content, consider what can be refreshed and repurposed. Many times, the information is there, it just needs refining and tweaking to bring it up-to-date and make it more appealing to your target audience. This information can also be used to create new types of content, such as infographics, podcasts, email newsletters and webinars. This gives it even greater opportunities to reach a wider audience and improve your presence on the web. Skilled content writers are superb timesavers. They get the work done, creating something carefully written, error-free and insightful. They deliver the results you want, in an eloquent, skilled way. Have you considered hiring a freelance writer? Freelancers are passionate, committed and always striving to exceed your expectations in order to work with you again. You’ll develop a direct relationship with the writer, and be able to communicate your exact needs. Contact HQ Content Writer today to discuss your unique content writing needs!